I don’t use the word Hero lightly. But in my hear, KISA EMMANUEL in Uganda is undoubtedly a hero. We call him Emma. Emma is 26, a young man with a big heart. 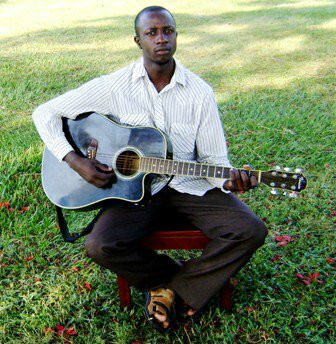 In 2007, he and his Ministries, Grace Ministries Uganda, started the project, Uganda Orphan Aid Trust (UOAT). UOAT was established with the purpose of achieving the survival, protection and development of AIDS orphans and other vulnerable children in the impoverished communities of Uganda. This is an unthinkable task, giving the obstacles he’s facing, in terms of resource, communications and accessibility to charity organizations and donations. But Emma was determined to make a difference. He and his wife devote themselves entirely to the cause, They started, in 2008, with helping 7 HIV positive kids. Now they are caring 87 HIV positive children, 96 orphans to AIDS and other causes and 112 vulnerable children. Emma never takes any credit for himself. He uses the Ministries’ name to express gratitude to anyone who lends a helping hand. When talking about him with a mutual friend, Chris (who’s working with the charity organization UCHF) , Chris repeated: “he is a good man”, referring Emma. Many of these children are exposed to endangerment to their lives due to the lack of health care and healthy food. UOAT is committed to save the lives and carry on continued support of education and development for the children. When I saw the story, I became emotionally attached. There are so many unknown heroes around the world with their love and compassion who are doing the impossibles. Like many of them, Emma does ask for the recognition. He’s just hoping more people would extend their love to these kids. These kids are fortunate, because they have Emma. But, “Currently, Uganda is home to over 4 million orphans and vulnerable children who have lost either one or both parents. ” Emma needs help, these kids deserve better. Let’s show our love together so the children know their future is bright. No one should be surprised by the public outrage towards the High Court decision in Citizens United v. Federal Election Commission, because people care about their individual rights and liberty, care about the fundamental values this nation stands for, care about the democracy of their country. I have seen reactions from citizens who rarely pay attention to politics expressing total shock and disbelief. Citizens see clearly that with this decision the nation’s and multinational powerful economic interests are on their way marching onto the dominance in our electoral process, the individual citizens’ voice is to become overwhelmingly weak, and our already weakened democracy is to become further dysfunctional. In one of my posts, I quoted Joseph Costello, “One should approach the legacy of the Founding Fathers with a sense of reverence and awe. It is the brightest shining governance star ever created by the mind of man.” The Founding Fathers framed our democracy with the belief and emphasis “that all men are created equal, that they are endowed by their Creator with certain unalienable Rights”. It is this framework that empowers the people to make this nation a nation where individual liberty is protected, and freedom flourishes. Make no mistake that, in this framework, corporations are not included to bear the same unalienable Rights. That is not an omission, not a negligence. That is by design. Because, as the Constitution starts, WE THE PEOPLE are what to form a more perfect Union, establish Justice, insure domestic Tranquility, provide for the common defense, promote the general Welfare, and secure the Blessings of Liberty to ourselves and our Posterity. NOTHING ELSE! Our political arena these days is amazingly polarized. There are big sharks out there who enjoy thoroughly politicizing everything. But this should not be viewed as a liberal issue, or a progressive issue, or a conservative issue. This is about common citizenship against special interests taking away common citizenship. It is about restoring the institutional integrity of the democratic process. It’s worth to note that it was Teddy Roosevelt, a Republican president, who called for public financing of elections and told Congress, “All contributions by corporations to any political committee or for any political purpose should be forbidden by law.” It was also president Roosevelt who signed the Tillman Act in 1907, which banned corporate donations to federal campaigns. Now, let’s take a look at the case and ruling process. Citizens United, a conservative nonprofit 501(c)(4) organization, sought to run television commercials promoting its film Hillary: The Movie, a documentary critical of then-Senator Hillary Clinton, and to show the movie on DirecTV. The Bipartisan Campaign Reform Act of 2002 (BCRA)(AKA McCain-Feingold), 2 U.S.C. § 441b, prohibited corporations and unions from using their general treasury funds to make independent expenditures for speech that is an “electioneering communication” or for speech that expressly advocates the election or defeat of a candidate. In January 2008, the United States District Court for the District of Columbia ruled that the commercials violated provisions in the Bipartisan Campaign Reform Act of 2002 (McCain-Feingold) restricting “electioneering communications” 30 days before primaries. The Court found that the film had no other purpose than to discredit Clinton; Citizens United argued that the film was fact-based and nonpartisan. The Supreme Court docketed this case on August 18, 2008, and heard oral arguments on March 24, 2009. A decision was expected sometime in the early summer months of 2009. However, on June 29, 2009, the Supreme Court issued an order directing the parties to re-argue the case on September 9, 2009. This is truly amazing! Engaging in political speech = Corporate Funding political campaigns? Jailing associations of citizens? Limiting corporate funding in elections is in noncompliance with the First Amendment? I found it amusing that the five justices of concurrences for this ruling would somehow believe the intelligence of the citizens and common sense could be so bluntly insulted. 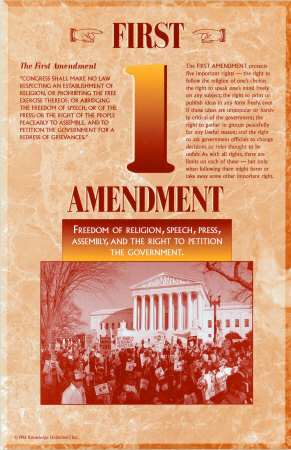 Reading the above simple text, and knowing a little bit of the background and the intent, can any one, let alone the highest authorities of law, not derive to the conclusion that (1) the First Amendment addresses protecting rights and civil liberties for the people, and (2) money is not speech? “A corporation, after all, is not endowed by its creator with inalienable rights“, as dissenting Justice Ruth Bader Ginsburg declared during oral hearings. Any attempt of interpreting the above text to suggest the First Amendment implies that the rights outlined in it and the civil liberties it intends to protect should also apply to non-human entities is absurd and manipulative. Apparently, this AMBIQUITY by not putting down the words NOT Corporation was all Justice Roberts and his allies needed to crack the dam open. push for a Constitution amendment that firmly establish that money is not speech, and that human beings, not corporations, are persons entitled to constitutional rights. Dear fellow citizens, this ruling puts our democracy in endangerment. Thus the individual liberty and constitutional rights for each and every one of us are in jeopardy. It exposes how venerable our democratic system can be. Now it is time for all of us, Democrats and Republicans, liberals and conservatives, and all in between, to be united as ONE in saving our democracy, for ourselves, for our children, and for generations to come. Two pieces of reality we should be seriously alarmed: already weakened democracy, and corrupted electoral process. In addition, we must also be concerned about the role of the justices and the Court itself in our democratic system, because I am worried that we have become too comfortable and too accustomed to the apparent political affiliation these judges display that tampers their ability to defend our constitution independently, as demanded by their constitutional duties. 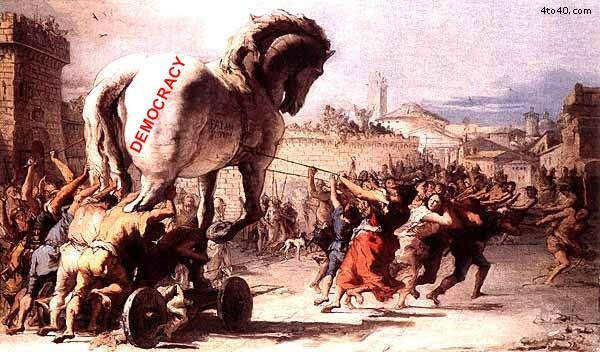 With this unprecedented ruling, by that I mean it proactively overrules a century long statute and two precedents, the Court shows no interest in facing the harsh reality that the vast majority has already lost faith in our government and agrees with Nader’s assessment of “weakened democracy” and “our corrupted electoral process”. No matter how eloquently Justice John Roberts reasoned the ruling and how forceful he tried to attach this to the First Amendment, this decision does not help repairing the “weakened democracy”, it does not help rebuilding the confidence of the public on the government, it does not help encouraging voters to actively participate in the electoral process. It fails to address the fundamental purpose of any fair election law at any given historical junction or all time that these laws are to protect the institutional integrity of the democratic process. Let’s face it, how many Americans now think their voices and votes can make a difference? How many believe that the institution is focusing on improving the well-being of the people, that the government is dependent upon the People and independent of anything else? America has already seen how money works in Washington. This Court decision only furthers the powerless-feeling in the People. However, our electoral process has already been corrupted, long before this Court decision, long before the Citizens United vs FEC case. Even without the power of the unlimited corporate spending granted by this ruling in political speeches, the campaigns of Republicans and Democrats alike had already been Kotou-ing to corporations, unions and other special interests for their supplies of money, whether through PACs or large contributions bundled by lobbyists. This ruling just makes it so much easier for both sides – suppliers and recipients. It makes the campaigns that much less “dependent of the People”. When the People stop speaking, the end of democracy is near. I do have faith on the People. Americans always speak out loud and clear in critical junctions of the democracy. If nothing else, this ruling services a wake-up call. It helps us to lift the cover and see the threat our democracy is facing. Now it is our turn to stand up, speak out, act strongly and urgently in taking care our own business: clean up the corruption and restore the institutional integrity of the democratic process! We can repeatedly remind the politicians that our government is “of the people, by the people, for the people.” However, we should have by now come to the realization that money speaks LOUDER. Take the matter in our own hands. Take action now! There are two pressing matters I am consumed with. One is the Supreme Court ruling that allows corporations to spend unlimited funds in public elections. The other is the earthquake and the aftermath relief efforts in Haiti. 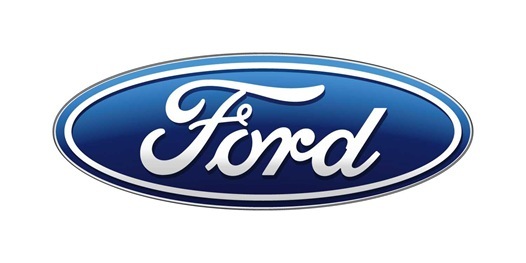 Ford Motor, the American car maker that did not need a bailout from the government, reported this morning that it earned $2.7 billion last year and expects to remain profitable in 2010. In these days filled with swirling depressing news, this is like a breeze of fresh air. $2.7 Billion does not make anyone drop his jaw. But it does break the fairytale that American companies can’t compete. It shows when a company takes its fiscal responsibility seriously, it can succeed, and it can pull itself out the mud without a bailout. This is really encouraging, considering the entire business world is scrambling, and this profit is its first in four years that came during one of the worst years in decades for global vehicle sales and auto company profits. I hope it sends a promising message to other companies, and sets a model for others to look into in restructuring their business operations driving towards profitability that will create domestic jobs and strengthen the economy. So I thought I’d squeeze this in. The Internet is in its new era. “Everyone is now in the position to realize his or her own dream,” I offered my interpretation of Web 2.0 in a conference early this year, “whether it’s being a Journalist, a Writer, a Photographer, a Movie Producer, or a Musician. It puts the context of freedom of speech, freedom of press, freedom of assembly on a brand new level that was never possible before”. The Web 2.0 Social Networking has demonstrated its capability of erasing all sorts of boundaries and connecting people across the globe regardless of their gender, age, belief, and ethnicity. The level of participation and creativity among members is nothing short of revolutionary. If such a powerful platform can be engineered for lifting the tendency of “being good” and “doing good”, and sensed by its members as a community that the platform is truly by-the-members and for-the-members, the positive impact that each participant brings to the world is enormous. It offers a natural mechanism for the enlightening process for civic engagements that will ultimately enhance the realization of the responsibilities of the world citizenship, and enrich the social capitals that have been depleting over the past half century. This is why I am so passionate about the social communities. Spent a good chunk of quality time yesterday with Rob Wasinger. 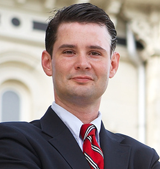 Rob is running for the US Congress representing the First District of Kansas. I got a chance to know Rob better, and to discuss with him on a variety of issues that we both care. I was extremely impressed with Rob’s openness, and his commitment to bringing jobs back for the people in Kansas. Prior to our meeting, actually for the last couple of months, I have been following his well-organized Campaign, and the core messages why he’s running. My admiration and support progressively grow. After our meeting yesterday, I am convinced that not only Rob is the best qualified candidate, he will bring a breath of fresh air to our nation’s capital if elected. The U.S. unemployment rate exceeded 10% in October for the first time in a quarter century. Nearly 16 million Americans who are able and willing to work cannot find a job. More than one out of every three unemployed workers has been out of a job for six months or more. The situation facing African American and Latino workers is even bleaker, with unemployment at 15.7% and 13.1%, respectively. These grim statistics don’t capture the full extent of the hardship. There are another 9 million people working part time because they cannot find full-time work. Millions of others have given up looking for a job, and so aren’t counted in the official unemployment figures. Altogether, 17.5% of the labor force is underemployed—more than 27 million Americans, including one in four minority workers. Last, given individuals moving in and out of jobs, we can expect a third of the work force, and 40% of workers of color, to be unemployed or underemployed at some point over the next year. Despite an effective and bold recovery package we are still facing a prolonged period of high unemployment. Two years from now, absent further action, we are likely to have unemployment at 8% or more, a higher rate than attained even at the worst point of the last two downturns. Joblessness on this scale creates enormous social and economic problems—and denies millions of families the ability to meet even their most basic needs. It also threatens our nation’s future prosperity by casting millions more children into poverty, foreclosing educational opportunities for many, limiting the investment and innovation that will fuel future growth, and dimming long-term labor market prospects, especially for younger workers. Americans throughout the history have risen to the challenges in harsh times, through hard work and sheer determination. They have also learned to call on our own past experiences as a nation for lessons in fortitude, courage and creativity. They have demonstrated repeatedly the ability to take it upon themselves in overcoming adversity, instead of waiting for help. I share with Rod that this is a time that only through a great grassroots campaign that will bring back the pride to the people and prosperity to the country, a campaign that converts the pain, the cry, the outrage into vitality, energy, and united strive, a campaign that reclaims Americans freedom to prosperity, a campaign that brings jobs lost in exportation back to the American heartland, a campaign that history shall call it one of the greatest civic movements. It is also in time like this, a new breed of leadership emerges. I see the leadership quality in Rob, the quality puts the people first and acts with integrity, the quality embodies the values of the fundamental rights, the quality embraces the spirit of putting country before party. I have been busy travelling across all 69 counties in the 1st District of Kansas recently, meeting Kansans, renewing old friendships and making new ones. I hope I will see many of you on my journey, but I want to take a moment to introduce myself to the Kansas blogosphere, as well. I want you know what I stand for, and I hope you will stand with me. My name is Rob Wasinger, and I believe I am the right person to succeed Jerry Moran to represent the people of the First District of Kansas in Congress. Let me tell you what I would fight for as a Representative, and explain why I am uniquely qualified for fight for it. Many boomtowns across America are experiencing for the first time the despair that comes with seeing once-promising communities emptied out before their eyes. What some of these big cities are feeling as a sudden shock, rural America has suffered as a slow bleed for far too long. The good news is that while the boomtowns were built on sand, our homes were raised on good land and solid foundations. But under the old, failed policies of high taxes and burdensome regulation, our communities have fallen into disrepair. I have a vision of how conservative values and policies will refresh our country, allowing rural and small town America to build upon our strong foundations and lead the way to a thriving and competitive economy. I believe in a set of policies aimed at breaking down the barriers to prosperity for rural America, unleashing the ingenuity and productivity of the American worker. Central to this vision is a New Homestead Act, a spiritual successor to the Homestead Act that Abraham Lincoln signed and which helped to populate the rural areas of the Great Plains. Today, it is clear that we need bold new initiatives to reinvigorate our heartland. Where growth and opportunity have been choked off, we should cut back the weeds of government, allowing skilled individuals, small businesses and new investments to plant roots and thrive. With some simple but well-targeted measures for our rural communities, we can help existing businesses to survive and develop while attracting new businesses and high-tech ventures. We can reward hard work and responsibility by making it easier to build savings and gain access to credit. We can make it easier for the next generation to return to their rural roots after they graduate. I know the value of this. After finishing college, I returned to my home in Kansas. I want my children and yours to stake their future in the heartland, as well. In order to accomplish that, we must have policies that ensure prosperity for rural America, not just policies that create prosperity for Washington, DC. I believe that I am uniquely qualified to fight for Kansas from day one, to make this positive vision a reality. I have worked for representatives of the people of Kansas for almost 15 years – both in Kansas and in the nation’s capital. I have become well-versed in how the federal government affects all our lives, and especially those of the rural communities we have in Kansas. I have seen first-hand how Washington works, and I have seen why it fails. More fundamentally, I am a husband, and a father to 9 wonderful children to whom I hope to leave a vibrant heartland and a better country. I am a conservative, because I believe it is the conservative values of freedom, responsibility and virtue that will make our world a better place for my children. That is who I am and why I am here. I hope you will give me the chance to prove my values, my conviction and my vision as the Representative from Kansas. I hope you will join me in the fight we have ahead. I am intrigued and inspired by the various topics this board has addressed, and clearly sensed the underlining desire to be networked, or to work on certain projects in a “networking way”. It is, without any doubt, an re-enforcement to the term “social capital” mentioned frequently in the discussions. This great nation has a rich history of civic movements, and an abundance of civic activists, which have had built the stockpile of social capital that had greatly enriched the nation’s heritage of diversity and equality. “America throughout its history has been exceptionally civic-minded,” remarked by Professor Robert Putman at Harvard University. On the other hand, in countries like China, such social capital never became a focal point in the society. What Xu Zhiyong and others having been doing in the recent years is a monumental social shift that can fill the void and become instrumental in inspiring and changing the landscape of social behavior. That is why I called for a discussion about what I called the Xu Zhiyong phenomena. However, the stock of social capital in this country has been reduced significantly in recent decades. In the December 2000 report issued by the Saguaro Seminar – Better Together, it noted a downward spiral of civic apathy, warned that the reserve of personal bonds and fellowship has been seriously depleted, and called a nationwide campaign to rebuild levels of connectedness in the communities. In addition to the attributions to such decline depicted in the Report, including factors such as age shift, two-career families, urban sprawl, and television, I believe the large scale immigrations of ethnic groups with lesser civic heritage also contributed a great deal to the overall dilution. This provides a challenge and an opportunity to all of us: are we willing to engage ourselves in such a historical civic renaissance, or better yet, are we capable of taking the leading roles? I have great respect for each one in this group, and I have great expectations for this generation. While we criticizing what we see but don’t like, I am more for doing something about it. I do not feel we are demanding ourselves more when we are talking about civic engagement than when we were talking about human rights, freedom, democracy, and justice. The only deference might be this is more direct in terms of personal commitment. That is where “networking” comes to strengthen. Better Together! I truly like the sound of it. 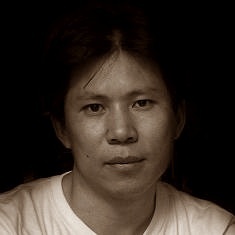 Xu Zhiyong (许志永) is one of the founders of the NGO Open Constitution Initiative and an active rights lawyer in China who helped those underprivileged. He is knowledgeable and enthusiastic, persistent and active. Many young people admire him as a role model, and intellectuals have great expectations for him. Xu has made a long list of remarkable achievements in fighting for social justice and making changes in politics. THE SAGUARO SEMINAR: CIVIC ENGAGEMENT IN AMERICA is an ongoing initiative of Professor Robert D. Putnam at the John F. Kennedy School of Government at Harvard University. The project focuses on expanding what we know about our levels of trust and community engagement and on developing strategies and efforts to increase this engagement. A signature effort was the multi-year dialogue (1995-2000) on how we can increasingly build bonds of civic trust among Americans and their communities.